K.E.I. 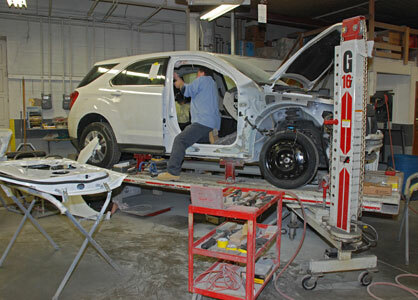 is a full service collision and mechanical repair facility. Equipped with the very latest in tools, machinery and personnel to handle the heaviest collision damage all the way down to the smallest imperfection. No appointment is necessary for an estimate. K.E.I. works with all insurance companies. We will assist the customer in every step of the repair process - from the initial estimate to the final repair. We can also help to arrange a rental car. There is a key drop for convenient drop off after hours. K.E.I. uses PPG paint products for excellent color-match and hold up.